Featured here is an A4 sized folder for business use. 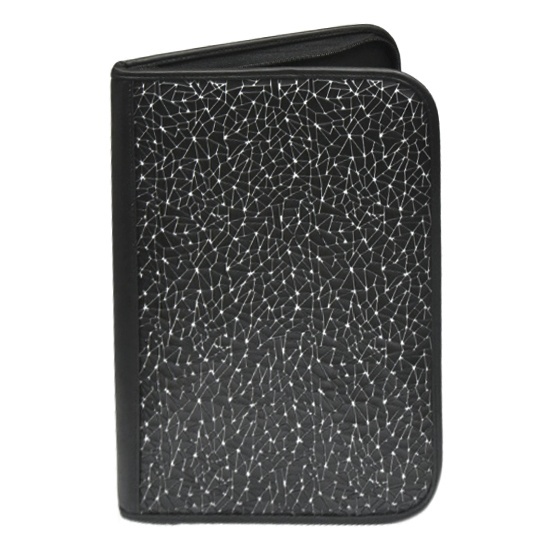 It has a zippered compartment for storage and comes with a business card case and a tablet pocket. This A4 sized folder is adorned with elegant patterns on the exterior and is durably constructed to protect the items inside. With a business card case. Adorned with elegant patterns on the exterior. Durably constructed to protect the items inside.